Why Isn't My Mortgage on My Credit Report? Having your mortgage on your credit report can show other lenders that you’re financially stable and responsible with large loans, opening you up for additional credit if you need it. If your mortgage is absent from your credit report, you could miss out on these benefits and may have trouble proving your payment history when you apply for other loans. 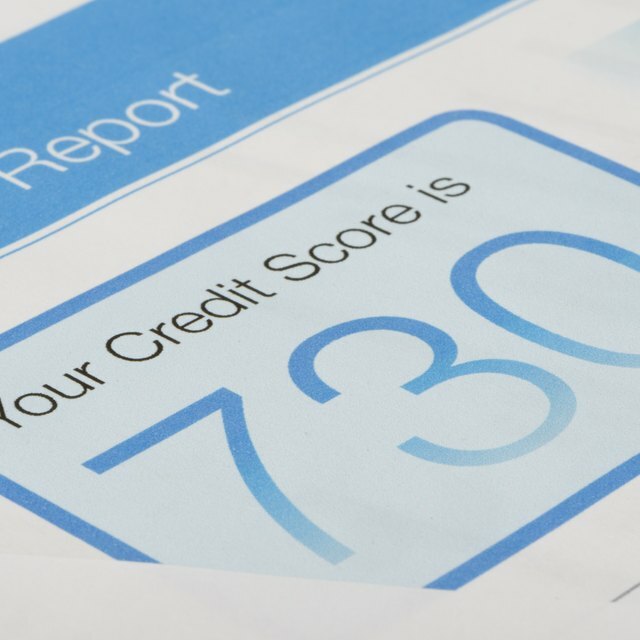 Although this is a bothersome occurrence, there may be a good reason why your mortgage isn’t on your credit report. If you only recently obtained your mortgage, say within the past one to three months, the lender may not have started reporting yet. Although some lenders begin sending information about your loan to the credit bureaus almost as soon as the ink dries on the closing documents, it’s not uncommon to experience a 30 to 90 day delay in reporting. To get a definite answer, contact your lender and ask how long it takes to send information about your mortgage to the credit reporting agencies. Lenders often only contract with one or two bureaus for their credit pulling and reporting needs. If this is the case, information about your mortgage will be missing from any agency the lender doesn’t use. Check your Experian, TransUnion and Equifax reports to see if it’s included on any of them. You can also call your lender and ask which credit agencies they report to. Smaller lenders and credit unions may not send mortgage information to any of the credit bureaus. This can also happen in a private financing scenario if the previous owner finances your mortgage. Although you may be able to call and request that your lender start reporting, creditors have to meet strict technological and compliance requirements, as well as pay related costs to report, so they may not be willing or able to fulfill your request. What Is the Lender's Process for Reporting a Borrower's Payment History to All Credit Bureaus? When Do Credit Bureaus Update Their Information? What Does "Potentially Negative Closed" on a Credit Report Mean? If you applied for a mortgage using only your spouse’s credit history and income, your name does not appear on the loan documents, meaning the mortgage doesn’t appear on your credit report, either. This is true even if your name is on the deed. You’ll have to refinance the mortgage to add yourself as a co-borrower to have the mortgage reported on your credit report. Although this doesn’t happen often, your mortgage history could be mistakenly reporting on another person’s credit report. This most often happens when the credit-reporting agency gets its data crossed with people you share a name or previous address with, but it can also happen as a result of a mix-up on the lender's end. Contact your lender first to determine if the lender is reporting the mortgage correctly. If it is, call the credit bureau and tell them about your missing mortgage account. To get the error corrected, you’ll have to provide information, such as the lender name, your mortgage account number, the loan origination date and the balance. The agency will contact the lender to confirm the information and add it to your report within 30 days.